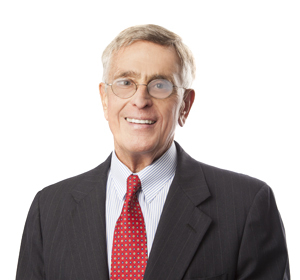 Tom Greene’s practice focuses on providing legislative and policy advice to clients with regard to environmental, tax, and transportation issues. Capping a 25-year career at the National Automobile Dealers Association (NADA), Tom brings to the firm a wealth of experience dealing with energy, safety, environmental, transportation, tax, and other issues as they relate to the automobile and trucking industry. As Chief Operating Officer of Legislative Affairs for over 20 years at NADA, he directed legislative staff and was responsible for coordinating the grassroots legislative efforts of more than 20,000 automobile dealers. In this position, he directly impacted the successes and defeats of many federal initiatives involving the automobile industry and played a leadership role in efforts resulting in the only legislative veto of an Agency Rule. He also pioneered and participated in several programs and advisory groups tasked with helping facilitate communication between Members of Congress and automobile dealers. At NADA, Tom also was responsible for coordinating annual Washington legislative conferences, attended by dealers, state and local association executives, and Political Action Committee (PAC) trustees. He supervised contributions to — and the distribution of — the Association’s $2.5 million, election-cycle PAC. As part of this effort, he was intimately involved in orchestrating fundraisers for numerous House and Senate leaders, committee chairpersons, and other key Members of Congress, as well as hosting functions for congressional chiefs of staff. Preceding his career at NADA, Tom served as Senior Minority Counsel to the House Commerce Committee, where he was responsible for advising Republican members on pending legislation regarding such issues as environment, energy, consumer, health, and automobile/truck matters. He counseled members in floor and conference committee action and crafted statements for the Ranking Member of the committee, as well as for other committee members. Prepared successful applications for federal grants and tax credits to support various energy projects. Drafted numerous bills for introduction in the U.S. Congress, as well as amendments to existing law, relating to various subjects. Worked on numerous renewal energy projects for electricity production and for innovative automotive fuels and power systems. Analyzed proposed federal legislation to prepare summaries for clients and drafted suggested amendments to address client concerns. Worked with other attorneys in the firm on various American Indian and Tribal issues and opportunities. Serves as a member of the firm’s Pro Bono group.